The Rockwell Group is a Seattle-based company focused on improving the lives of individuals and profitability of corporations through the management of insurance portfolios. 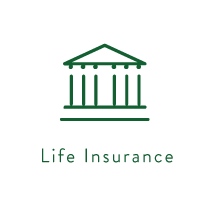 The Rockwell Insurance Group was created to offer a better holistic experience for individuals and corporations compared to traditional methodology. We acknowledge that each situation is unique and that capital is return-intensive. Our interactive counseling process identifies, characterizes and quantifies the organic insurance needs of each individual and organization. Through longstanding relationships with our trusted insurance providers, we ensure that our clients receive the optimal plans at the most competitive rate. If a client is unsatisfied with any aspect of the chosen platform we will leverage our network to find a better outcome. Our mission is to alleviate our clients of the stresses associated with insurance while we combat the complexities with talent and experience. By remaining provider agnostic, we generate optimal outcomes and focus solely on the needs of our clients. Our President and Founder excelled as a top producer at Liberty Mutual Insurance for nine years (2006-2015), before founding the Rockwell Group in 2015. His success is attributed to a simple philosophy: Always do what is best for the client. The insurance industry has evolved into multiple layers of complexity, often making the process of finding good insurance strenuous and ineffective to consumers. Our goal is to change that. Our objective is to not only make the process seamless for our clients, but also to protect their best interest and make their experience enjoyable. See below for the assortment of services and plans we offer. At The Rockwell Group one of our primary goals is to make the management of your insurance portfolio a more enjoyable experience. + Our advisory technique helps you understand the core of each insurance policy and its application so you are aware of what you may need and why. Following our initial consultation, RG will develop a specialized insurance program tailored specifically to fit your needs. Once we have structured your policies we utilize our network of trusted insurance providers to ensure you are placed with a provider that delivers value to your budget. + The Rockwell Group assists in EVERY phase of transition to our firm. From contract signature to existing policy cancellation and the refunding of any over-paid premiums, RG will walk you through the process so that it is seamless. + At RG, we expect to provide world class client service and world class results. Each year, we will re-optimize and redeliver. We intend to be your insurance council for life. RG charges NO additional fees and our service is complimentary. 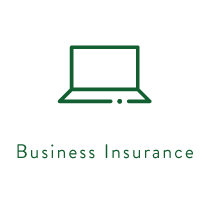 We’ll improve your coverage position and help you utilize your insurance capital more efficiently.